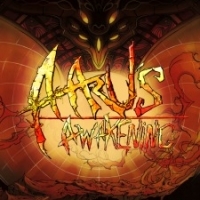 Box Text: Aaru's Awakening is a hand-drawn, fast-paced 2D action platformer. The game puts players in charge of Aaru, a mythical creature with two unique abilities teleportation and charging. He uses these abilities as he travels through the dangerous world of Lumenox to defeat an evil entity. These two abilities are at the heart of every level design throughout the game, to make for a challenging and fluid experience. The levels require players to make split second decisions whilst completing fast-paced puzzles. This is a list of VGCollect users who have Aaru's Awakening in their Collection. This is a list of VGCollect users who have Aaru's Awakening in their Sell List. This is a list of VGCollect users who have Aaru's Awakening in their Wish List.